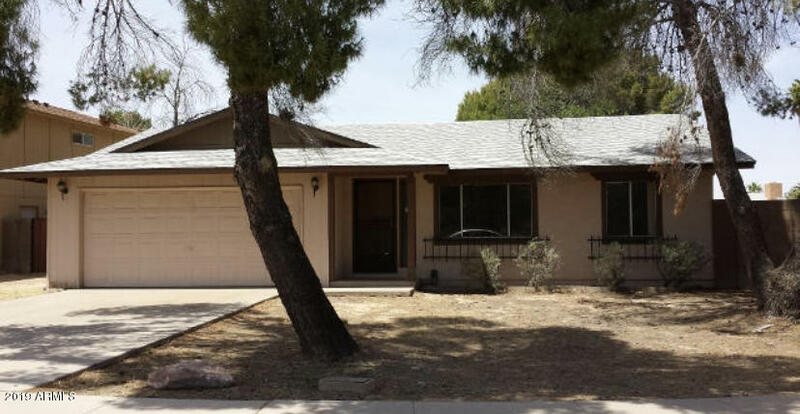 Amazing home in prime Tempe location, right across the street from a school! Huge mature trees for those hot days in the summer. Awesome floor plan with wood flooring throughout all high traffic areas. Large eat-in-kitchen island. Huge laundry room with shelving and access from the kitchen and backyard. Very nice cabinets and tile back splash. Great size bedrooms and the master has wood flooring. Backyard is ready for your landscaping touches. Very quiet neighborhood and very close to shopping, eating and entertainment. Try to find a decent home in Tempe for this price. Houses in this area go under contract within days of listing. Hurry, it will go fast!